Cape Town - The Springbok Sevens team have tasted success at the Dubai Sevens last year, but for Blitzboks captain Philip Snyman and his team, that is nothing more than a pleasant memory. 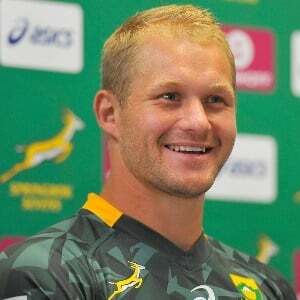 In fact, Snyman said that it all starts afresh come Friday when they face Uganda in their opening match. Snyman is also expecting the 2017/18 HSBC World Rugby Sevens Series to be more competitive than ever before, and a very tough defence of their overall series title. "Dubai has been a happy hunting ground for us in the past, but this is a new season and everyone are starting with fresh minds and bodies," said Snyman. "Even our squad, as experienced as we are, came back together with new energy and new vigour. "We will see a lot of the teams more settled this season, with not as many new faces and coaches as was the case last year when we started the season here in Dubai. "So it is definitely going to be tougher this time around. We need to be at our best from the start." Snyman said the Blitzboks enjoyed the glory of being champions in 2016/17, but it now is something for the history books. "We already left last season behind when we started our new pre-season camp. We needed to make that mind shift. The focus now goes to that first match against Uganda. We need to be ready for that match and take it from there."